Got sales information that needs marking with special offers or company information? Perhaps you need to highlight the end of an offer. Maybe you have a supplier brochure that you want to add your own sales information to as it’s you who will be making the final sale. Whatever the need, you’ll want the labels to look as stylish as the brochures. Glossy labels are made from a photo quality material so text and graphics will really stand out. 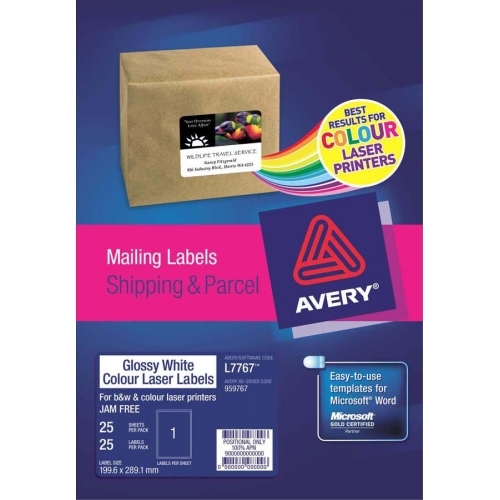 It doesn’t matter what size you need, these A4 labels for colour laser printers can be cut down to size or used as a large label.